According to the narrative repeated by most news sources, the “Gilets Jaunes” (Yellow Vests) uprising began ‘spontaneously’ on Saturday, November 17, when approximately 300,000 activists, incensed by a heavy regressive tax on fuel, began a series of roadblocks and protests which snowballed across France. Weekend demonstrations continued Saturday, November 24, and by the following weekend, glass was broken, cars and some buildings were set ablaze. Although the hundreds of thousands of protesters were overwhelmingly peaceful, Molotov cocktails and police brutality have taken the headlines. As a bold gesture of political punctuation, graffiti calling for French President Emmanuel Macron’s resignation was spray-painted around the enormous base of the Arc de Triomphe in central Paris. But the real story of growing social inequality, government austerity, and lowering taxes on the super-rich, began many years ago—in 1983 to be exact. After former Socialist President François Mitterrand was elected in 1981, he attempted to jerry-rig a Keynesian economic policy. Facing mounting pressure from international financial institutions and large capital interests, the franc was devalued three times between 1981 and March 1983. Mitterrand’s introduction of austerity measures, which were then termed “tournant de la rigueur,” catered to these powerful interests and kept the franc in the European Monetary System (EMS). This piece of economic and social history is key to understanding that it was then, in 1983, that wages were no longer indexed to prices, taxes were increased, and subsidies to state-owned companies were slashed. Both directly and indirectly, these policies underpin some of the most important grievances held by the November 17 movement. Ironically, it was a “Socialist” president who introduced the neoliberal model of state finance and economic policy which has bled French workers and small businesses dry to this day. Mitterrand, for all his dirigiste grandeur, introduced deeper neoliberal “reforms” than even center-right presidents like Giscard d’Estaing had ever dared. It was thus 35 years ago that the seeds of the current Yellow Vest rebellion were sown. Politically, working-class support also shifted in those years. 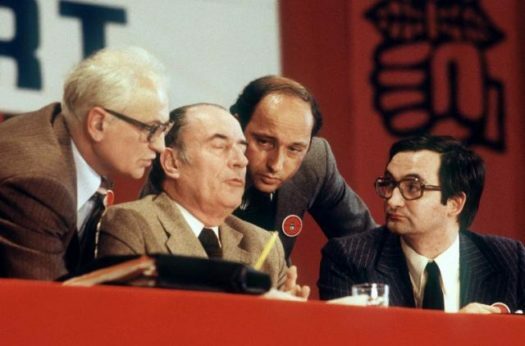 Through the 1970s, it was the French Communist Party (PCF) which largely represented working-class French. After the Mitterrand presidency, the PCF had been marginalized, leaving workers to their own devices—some gravitating to the far left, others to the right. This social and political tectonic shift began as a direct result of the Socialist Party’s economic policies of the 1980s, which failed to understand, let alone address, the so-called “new poor,” whose numbers were unmistakably growing. It was then that the infamous banlieues, poor suburban areas of large French cities, began to be neglected and lose touch with the rest of society. Immigrant communities became more and more socially and economically isolated. Workers were left pointing their fingers at one another. It has been a very long and painful march for French workers, students, and pensioners. Decades of sustained right-wing attacks on everything from social services to dwindling support for students have taken a heavy toll on the average working family. Within this context, November 17 was anything but spontaneous. It was the logical next scene in the theater of the absurd which has played out in French politics for a generation. Had it not been for the leadership of one of the nation’s largest trade union confederations, the CGT, neoliberal “reforms” would likely have moved quicker than they did. Over the years, large (and very large) walkouts, strikes, and work stoppages have fought the right-wing economic agenda with everything they had. But it took a regressive tax for a large swath of the fabric of French society to put the pieces of the economic conspiracy against them together. The result has been nothing less than explosive. Beginning last May, with an online petition against the proposed fuel tax, the November 17 movement began to take root in social media, culminating in the planned blockages which set off a rapid and multiorganizational collaboration resulting in the largest public protests in France since 1968. If the fuel tax protests were the ignition for the Yellow Vests to explode in popularity across the country, low wages, regressive consumer taxes, and President Macron’s devotion to shelving the progressive income tax on the wealthy, all combined to create a mass movement of outrage and outright rebellion against the government’s neoliberal policies—and the capital which stands behind them. 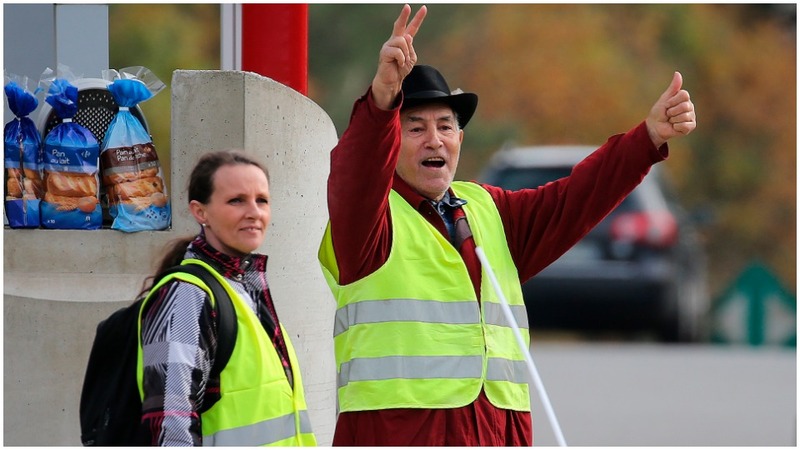 To put on a Yellow Vest today in France is to give a middle finger to the deteriorating social and economic establishment begun in large part by Mitterrand’s Socialist Party and intensified by subsequent right-wing governments. The government and some foreign media sources seek to discredit the November 17 movement and lock it into paralyzing political and economic dilemmas. 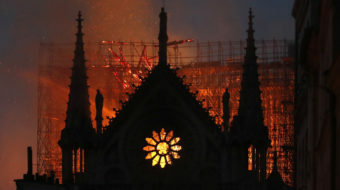 Bulwarks of international capital such as the Times of London and various U.S. newspapers are throwing everything they can at the Yellow Vests to discredit them. Ideological apologists for the miserable status quo are accusing the movement of being fomented on social media by Russian troll farms. Capital-controlled media and government sources are intentionally creating a false image of a movement which is clearly larger and more complex than any single influencer. As Macron, his ministers, and financiers wring their hands in the gilded palaces of the French Republic and squeeze the Yellow Vests ever more violently in the grip of paramilitary police forces, the lines of this decades-long battle harden. When all is said and done, however, Macron is not the enemy or the cause—he is merely the agent of capital whose cost can no longer be borne by French society. Well before November 17, the 720,000-strong Confédération générale du travail (CGT), along with the even larger Confédération Française Démocratique du Travail (CFDT) and still other trade union federations, have been fighting a series of attacks by the government on everything from pensions to cost of living adjustments, education to the environment. Contrary to misinformation repeated even by news sources such as National Public Radio, the CGT and other labor confederations have been at the center of organizing the large marches and protests throughout the country. According to a recent CGT communiqué, Prime Minister Édouard Philippe did not want to see or hear warnings issued by the trade union confederations months ago related to injustices the Yellow Vests now seek to be resolved. After the first three weeks of social anger, in a bid to calm what is quickly becoming an all-out rebellion, the government announced measures to get out of the conflict and try to calm the situation. One measure offered by Macron himself is to suspend the fuel tax altogether. Too little, too late. The mass movement of workers, students, and pensioners realize the government’s proposed measures are not likely to allow a majority of the population to make ends meet, and so the protests have grown. This past weekend, more than 10,000 Yellow Vests marched through Paris, joining an estimated 125,000 in other French cities. After meeting with government officials, union and business leaders, Macron addressed the nation on December 10. 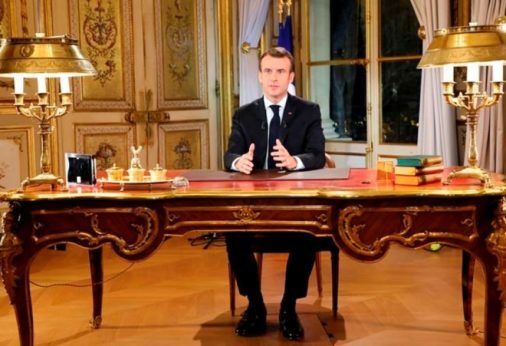 His message was notably more conciliatory than past statements, and he promised to take “strong measures” to appease the Yellow Vests. Among these measures, Macron promised a €100 a month increase in the minimum wage beginning in 2019, a social security tax-increase exemption for pensioners on low incomes, and an end to taxes on overtime pay, also to be put into effect next year. It remains to be seen what, if any effect, Macron’s olive branch will win among the millions of French who are sympathetic to the cause of the Yellow Vests. Union leaders, who have been working together day and night for over a month now, are still planning for another, larger demonstration in coming days. The CGT has invited all employees of the public and private sectors, unemployed, pensioners, and young people to participate in this mobilization. On December 14, CGT and other labor confederations are planning a day of strikes, production stops, and marches throughout the country. Tuesday evening’s shooting at a Christmas market in Strasbourg has suddenly thrown a cold blanket on all Yellow Vest activities, though. Hundreds of troops and police brandishing machine guns are scouring the city in a search for the gunman. Classes are canceled in schools and travel across the country is paralyzed. People are feeling traumatized. The sudden shift to security concerns, combined with the arrival of the season’s first icy weather in northern France, has granted the government some reprieve from protests. To keep the momentum going, the CGT’s December 14 actions will need to be really big. The future of France will likely be played out in the streets over the coming weeks and months. 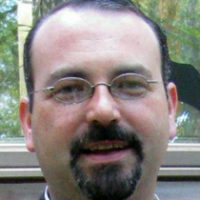 Donald Donato has worked with community-based organizations in support of economic, social, and cultural development for over 25 years. He is a writer and reviewer for International Critical Thought (Routledge) and a member of the National Writers Union-UAW Local 1981.